Remember Descent? Yes, that now 20-year-old shooter that had you piloting a little spacecraft in a cavernous network of underground tunnels. It offered “six degrees of freedom,” took quite some time to get used to, and was pretty damned awesome – becoming quite a multiplayer favourite in the days of yore. There have been numerous attempts at a remake or reboot , but they’ve all ended up being stifled by rights holder Interplay. Not anymore. There’s a new one on the way, and it’s been given Interplay’s blessing. It’s got an odd bit of pedigree to it too. It’s being made by a former member of Cloud Imperium Games – the folks behind Star Citizen. 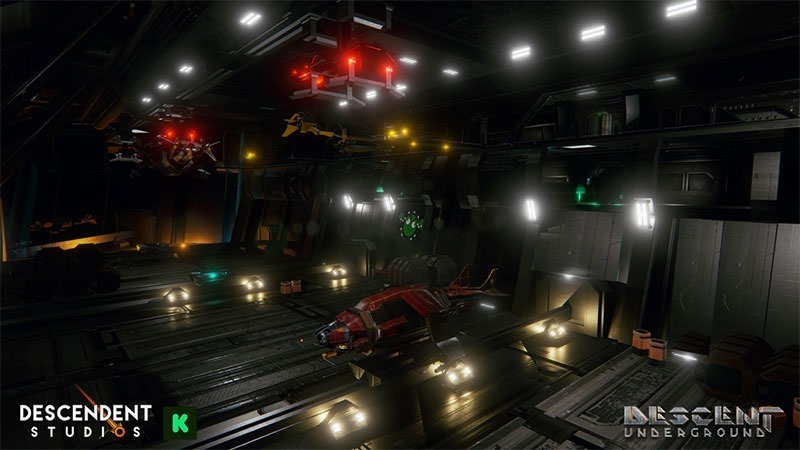 Eric “Wingman” Peterson has formed Descendent Studios, hired staff, and is currently trying to pull $600,000 via kickstarter to finance development of the game. This is Descent Underground. Petersen hopes to keep this reboot true to the series roots. Why bring it back in the first place though?